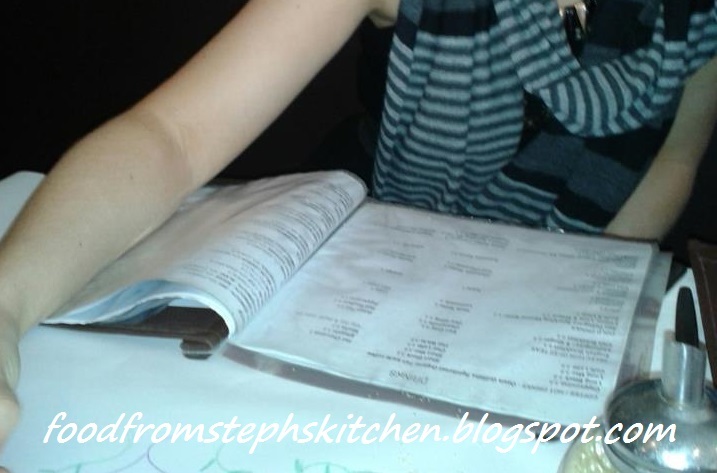 If you follow Steph's Kitchen on Facebook or twitter you will know that I share a lot of recipes, food ideas, blog posts, and just anything delicious looking on a regular basis. I don't know about you but sometimes its hard to keep up with what has happened in a week, let alone what I've liked in my feed or even read. I have to make an actual note or bookmark something so that I can go back and remember, and even then if things get crazy busy (as they do) I might not stumble across something for several weeks. So I thought I'd start a new little section on my blog: Wind-back Wednesday. Every Wednesday I will put together a post of a few things I've loved and shared over the past week. It could be from Facebook, Twitter, Google+ or even here on my blog. It will sort of be like a post of highlights from the last week. This is a topic that I have been thinking over for a very long time, so on Sunday I put pen to paper. When everyone is sitting around the table almost eating the menu, my brain is deconstructing dishes and being rational. Are you like this too? Let me know your thoughts on the topic! If you missed it, here's the original post: Cooking has ruined restaurants. I made this on Saturday, and I must say it was AMAZING! It was also super easy, so I recommend. I did adapt it slightly, which is what I do as I'm terrible at following anything to a T, but only skipping celery and adding a little bit more stock as I had just over 600g of meat instead of 500g. I also added some English spinach from my garden because it was going crazy and needed it be used. I simply added it towards the end, mixing it through and letting it cook for another 10-15 mins. 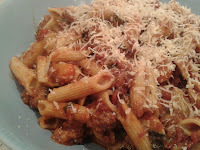 I was going to make Donna Hay's beef ragu, but I really didn't want to open up a nice bottle of red wine, and I was in no mood to go and buy one just to cook with! It looked equally as nice, I'm just more of a 'cook with what you have' sort of person. I also had chuck steak (or casserole beef) and her recipe called for a whole brisket. Curtis' recipe (yes, I'm on a first name basis with him ... I wish!) just seemed to be more me. It used balsamic vinegar as well which got me very curious as I have never used it in cooking so heavily before - with the recipe calling for a 1/4 cup. 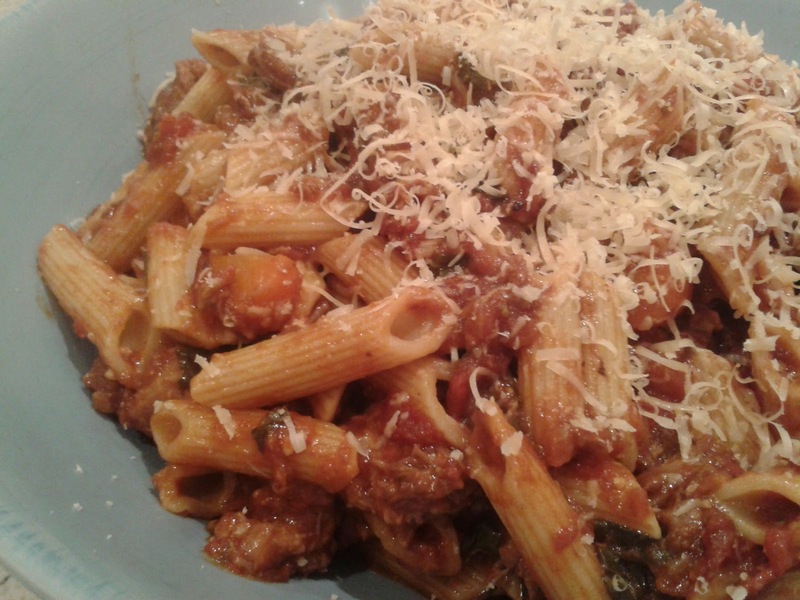 Image from Dani's Delicious Dish. 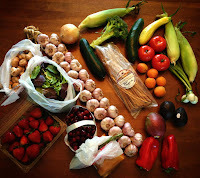 I stumbled across this gem of a blog on Saturday after I read Dani's guest post on Food Stories. I LOVE her writing style, and she is just hilarious. It is not very often I'm actually giggling loudly and having to read bits out loud to Mr Steph - who apparently didn't find it as amusing as myself (his loss, I say). He simply looked at me oddly and smiled, thinking 'This girl is a special type of special ...' - which now that I think about it he tells me all the time. I call it being 'quirky'. Back to the topic at hand, not only are her posts great to read but she is also a foodie - so double points Dani! Nicky at Pink Recipe Box is one clever foodie! 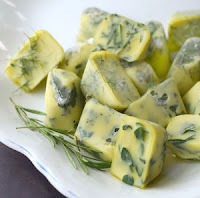 Last week I shared her nifty article on things you can freeze in an ice cube tray - from herbs and oil, to tomato paste and icecream bites! I loved this article because it made me think about freezing things that I never had before. The fact that it is conveniently in an ice cube, and you can just grab one out without having to defrost everything, is genius! If you haven't already I would recommend reading her article "Top Ten Alternative Uses for an Ice Cube Tray", and also check out her blog (Pink Recipe Box). Do you have any recipes or blog articles that you've fallen in love with over the last week? Share with me in the comments below!